When I was a teenager in the 1970s the Shepherds Bush Road meant one thing – the Hammersmith Palais. It was a fantastic old dance hall that doubled up as a venue both for the old-school Mecca dance bands, and as a rock’n roll venue immortalised in the title of The Clash’s song ‘(White Man) at Hammersmith Palais’. These days this whole area of West London is a bit more genteel, though Brook Green was always one of the posher parts. 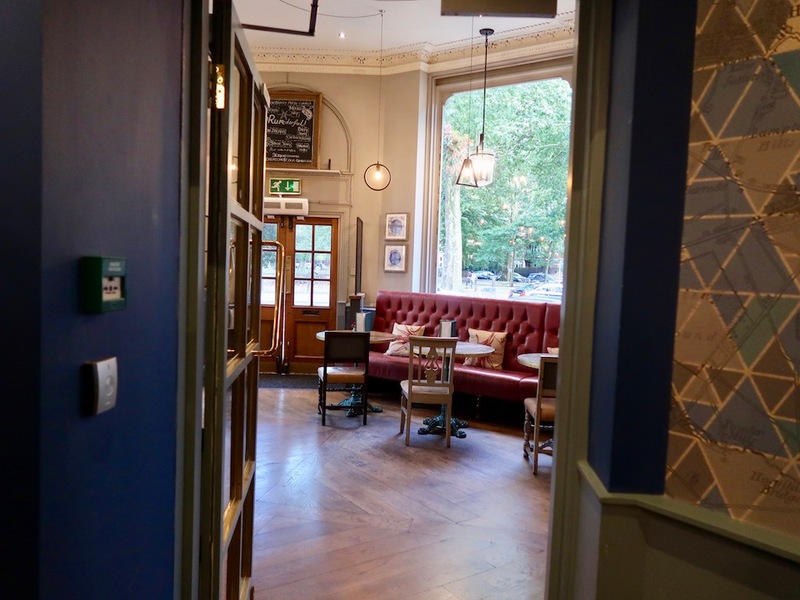 I’ve come to review the Brook Green Hotel, part of the Young’s Brewery group of hotels. 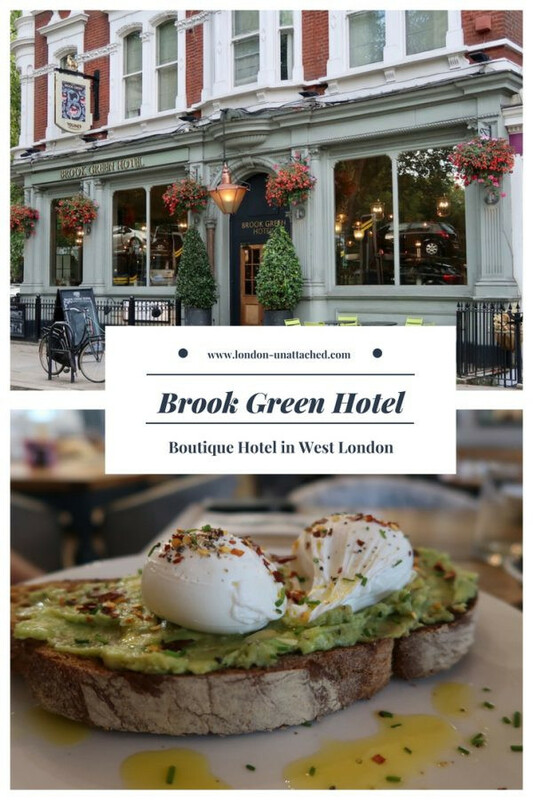 The Brook Green Hotel started its life as a coach house in 1886 and still has great transport connections being close to Hammersmith, Shepherds Bush and Kensington Olympia tube stations as well as the M4 and M40 motorways. 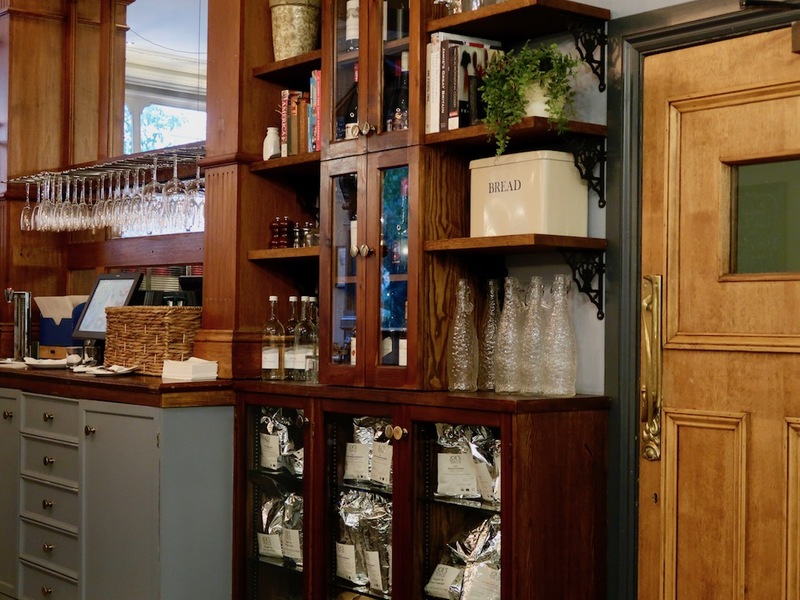 In the basement is the speakeasy-style Smith’s Cocktail Bar while the ground floor features the pub and restaurant with ‘craft beer, fantastic cask ales and the best in seasonal British food’ and the upstairs has 17 stylish boutique bedrooms. 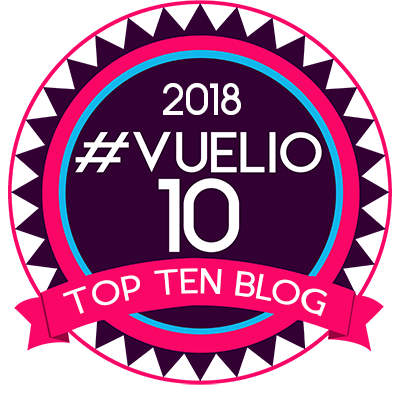 On arrival and after a straightforward check-in process we investigated our cosy double bedroom. Decked out in soft grey-blue hues it had everything you need; a flatscreen TV, kettle, coffee maker and mini-bar. 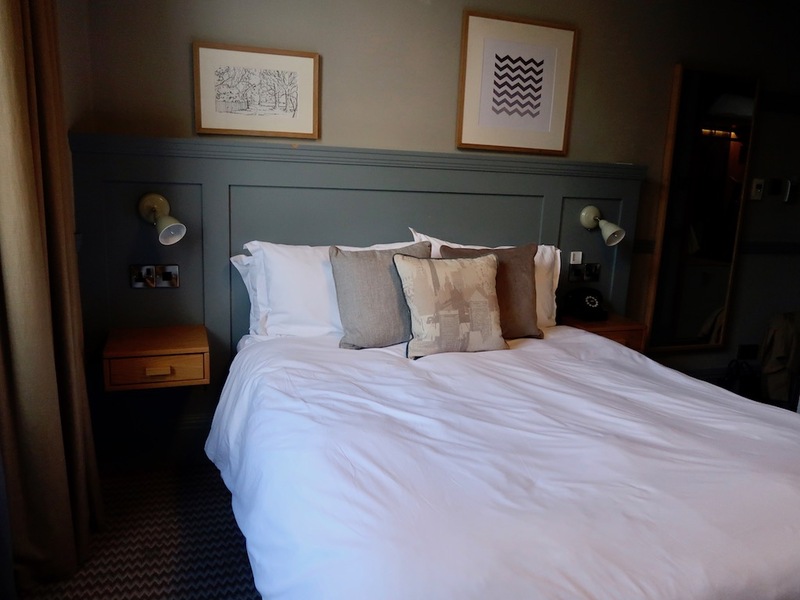 The bed was firm and comfy with plenty of pillows and the white-tiled bathroom had a fab shower and a good selection of toiletries from Green & Spring. After a relaxed freshen-up, it was time for dinner. The pub has a beautiful bar area but we went straight through to dine. 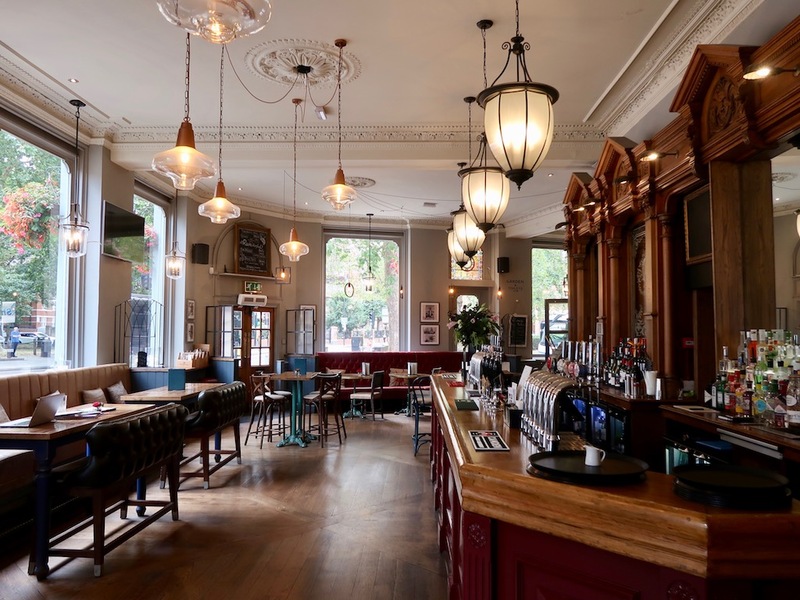 There are leather banquettes, wooden tables and a music score frieze honouring local composer Gustav Holst (he wrote The Planets…you’ll know it). We started with a couple of drinks. 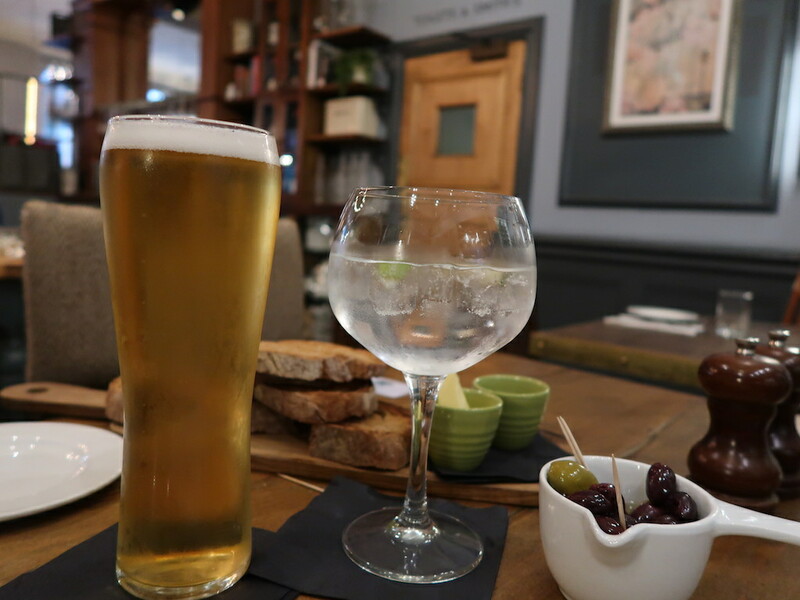 A Beavertown Neck Oil IPA was a great balance of hoppiness and lychee fruit notes and a Tanqueray and Fever Tree tonic G&T was a great example of the classic cocktail. We snacked on a selection of freshly baked artisan bread with oil and butter maybe a little ambitiously priced at £6. 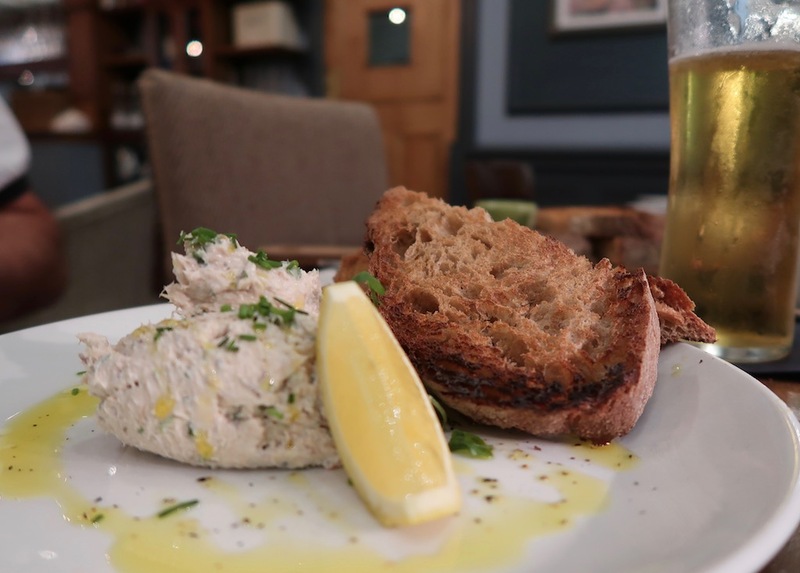 Mackerel Paté was fresh and creamy and served with moreish toasted sourdough bread. I loved the cauliflower soup. 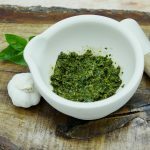 It had a velvety texture and was subtly flavoured with a hint of truffle oil giving it that luxe feel. The wine list had some interesting bottles at a decent price point. Our bottle of Mâcon Villages Georges Duboeuf was creamy and mineraly. 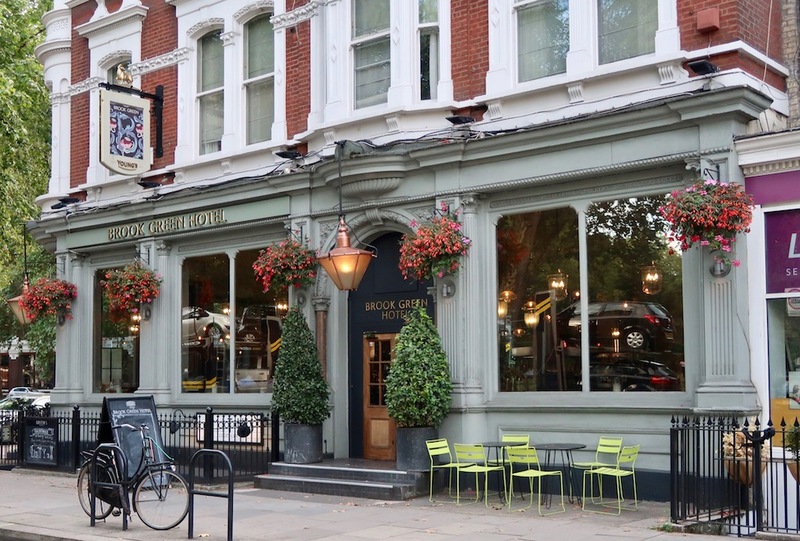 The menu at the Brook Green Hotel was a good mix of pub and Modern European classics. 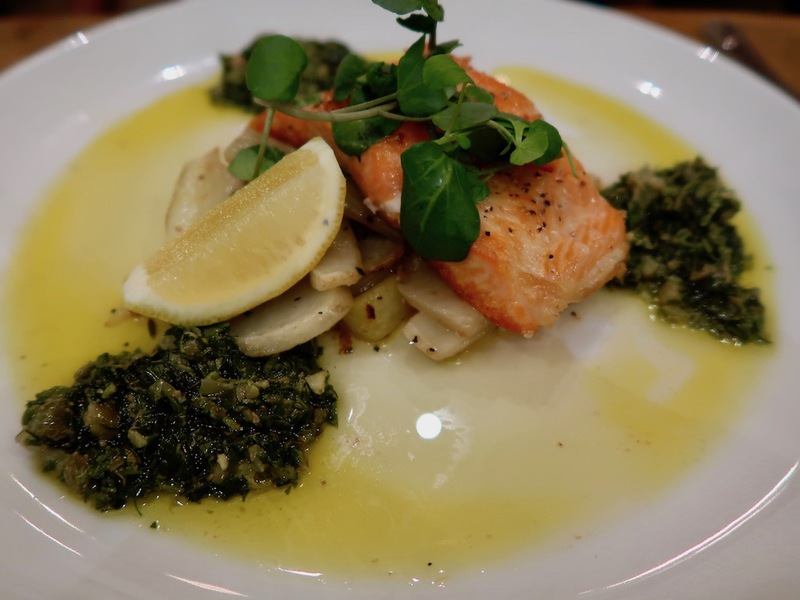 Perfectly cooked sea trout sat on a soft bed of braised fennel and courgettes with a salsa verde adding a vegetal note. 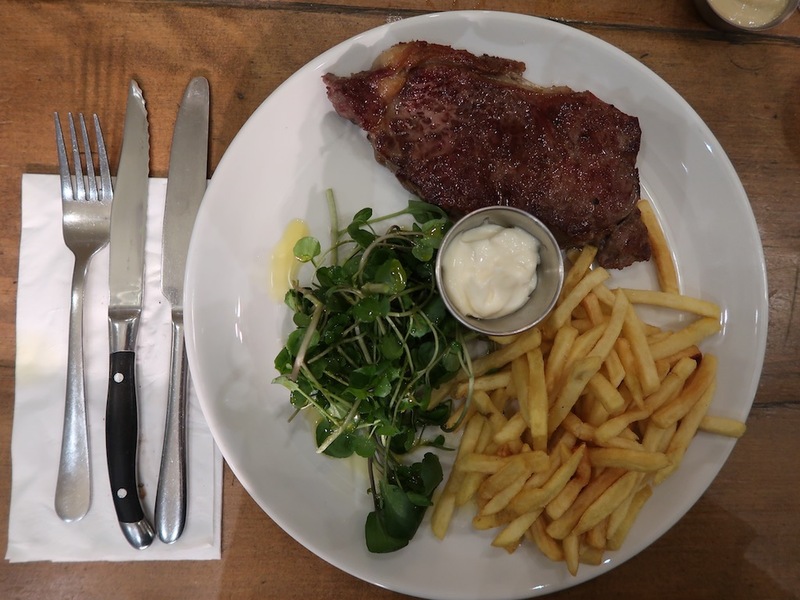 A robust 28 day aged Angus beef sirloin was tender and full-flavoured and was accompanied by watercress, garlic mayo and chips. 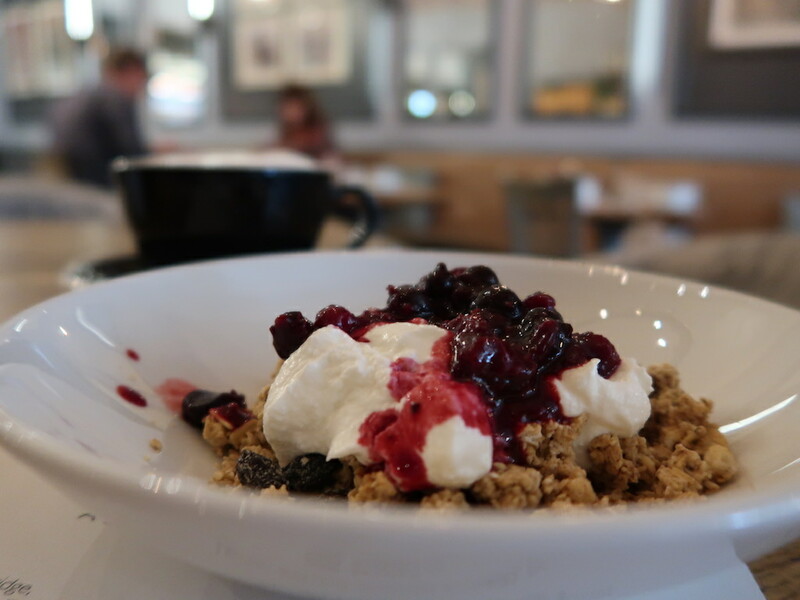 Desserts can often be an afterthought on a pub menu but not here. 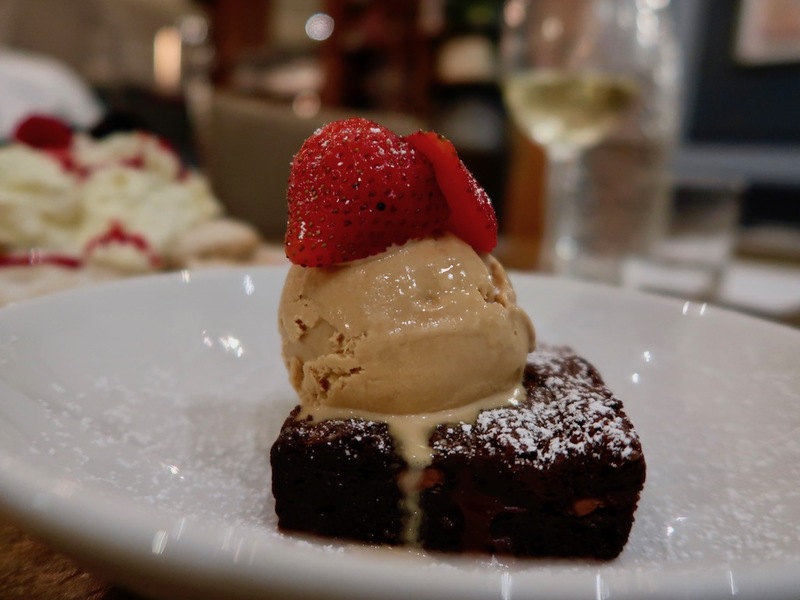 A gooey chocolate brownie was lubricated by a lovely salted caramel ice-cream. 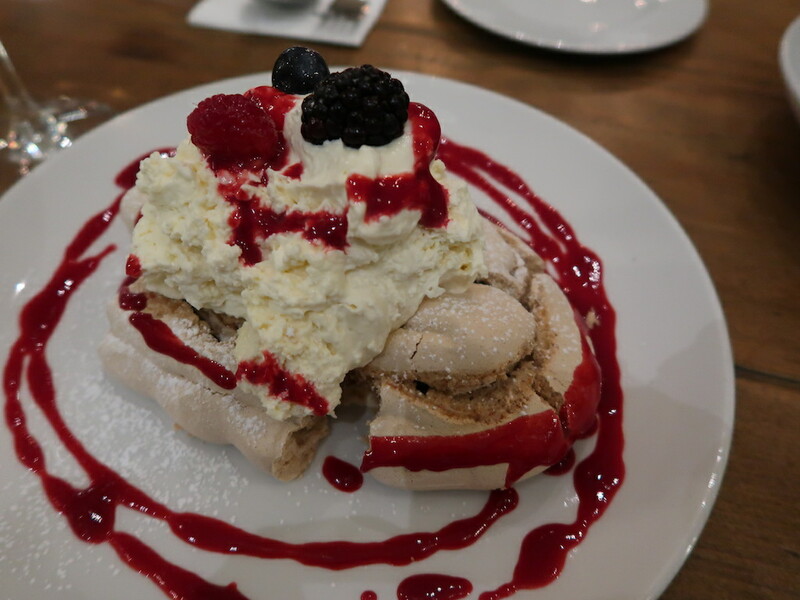 But the highlight was the brown sugar Pavlova with Chantilly cream and a raspberry coulis. It was an alpine fantasy of meringue, cream and fruit artfully served by our charming waitress Amy. 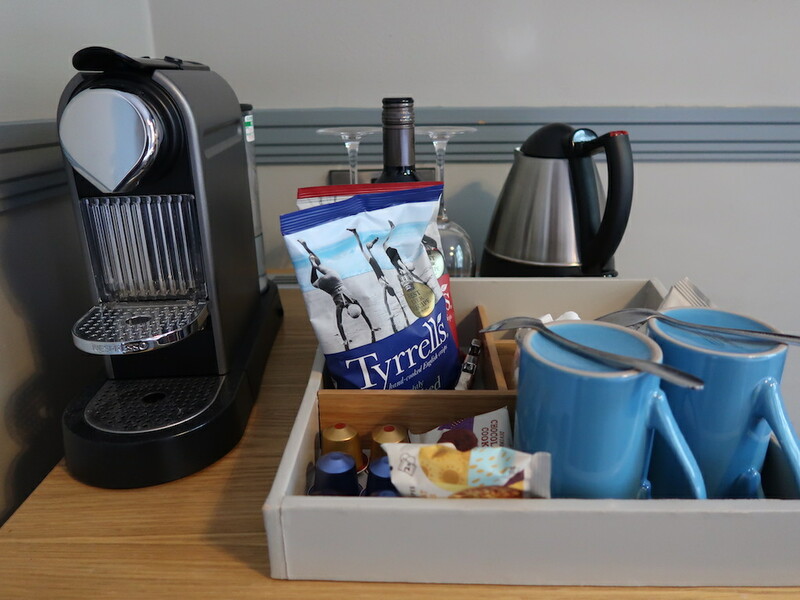 After a great night’s sleep, it was time for breakfast with a great selection of bread, fruit, yoghurt, cereal including their own granola and fruit, washed down with a choice of juice, teas and coffees. 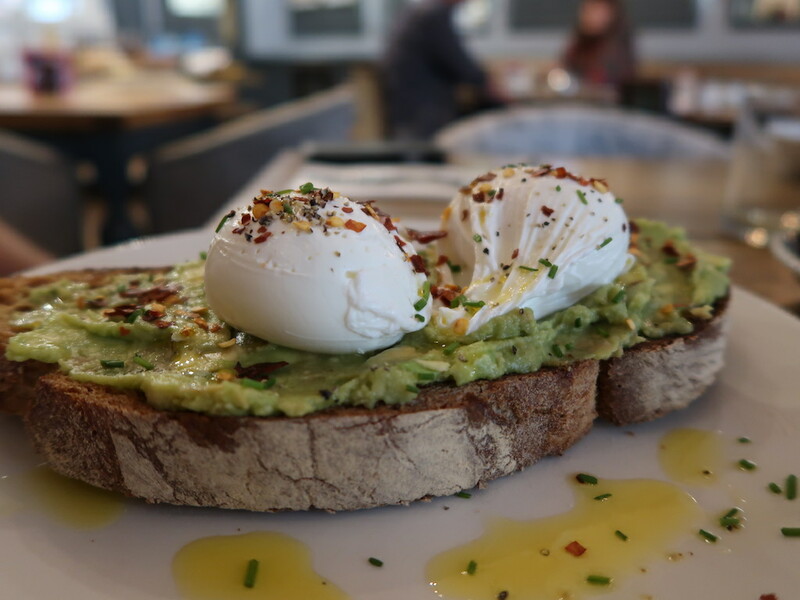 Because we are greedy we tried some of the more substantial offerings – a delicious lemon and chilli smashed avocado, with poached hen eggs and toasted sourdough, and a great portion of excellent Springs smoked salmon from Sussex with a lemon and chive cream and a fresh poached egg. Other options include an enticing-sounding Brook Green Full English and for healthy people a chia and coconut porridge. 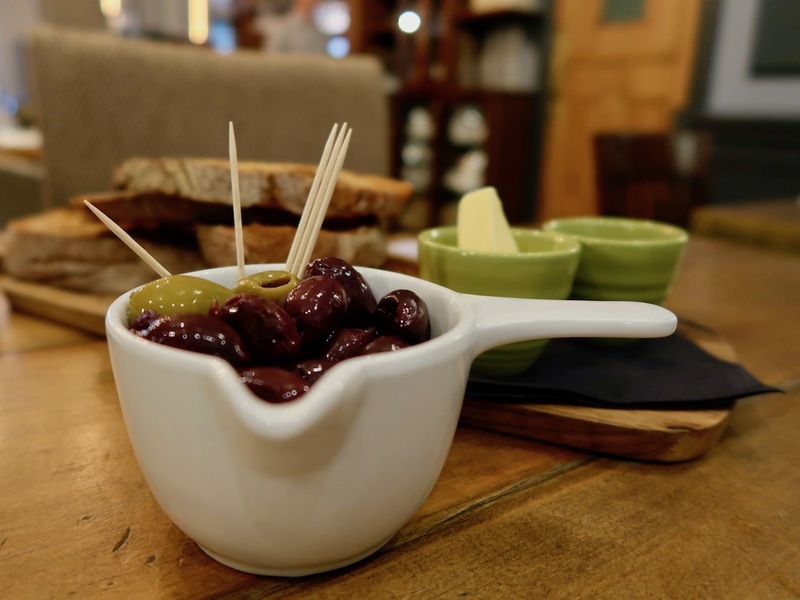 Youngs currently have an offer running for this summer which includes double occupancy, bed & breakfast with a two-course dinner and a welcome drink per person from just £129. Use the code SUMMER18 to take advantage of this special offer – valid from 1/8/18 – 9/9/18. This looks like a beautiful, traditional English hotel. The food looks very tasty. It seems like a great choice for my next trip to London!